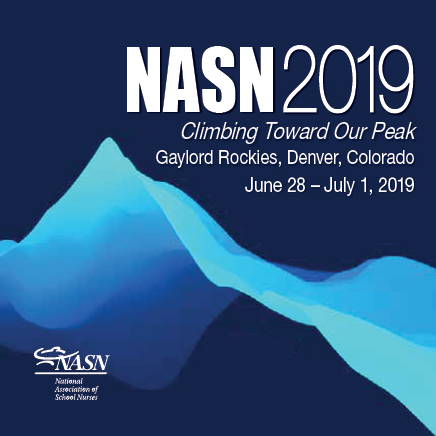 NASN is seeking abstracts that support the NASN2019 learning outcomes and incorporate learner-centered strategies. Incorporate the principles of the Framework for 21st Century School Nursing PracticeTM into daily practice to advance student and population health. Identify school nursing trends that have evolved over the last 50 years of NASN and apply evidence-based best practices that promote student health, academic success and healthy school communities. Integrate leadership concepts through professional growth, development and responsibilities to optimize the role of the school nurse. Identify partnerships and collaborations that will assist with advocacy efforts to enhance and empower the school nurse role in student health and wellness. Due dates are by 11:59 p.m. Eastern Standard Time (EST). Read the Abstract Submission Guidelines. These details outline the entire submission process including submission content that will be requested. It is important that you use this outline to draft your submission before starting the submission process. Read the Abstract Submission Policies. This information includes author agreement statements and NASN's conflict of interest policy so you can determine if the NASN Annual Conference is a good fit for your abstract. Determine who will create and start the submission process. What if your submission has multiple authors? Choose one author to create and start the submission. When the submission is created, additional authors can be added to or listed in the submission. Each author listed in the submission will log into the form to update and complete their author information once the submission has been created. Additional guidelines for authors are provided in the Abstract Submission Guidelines. What if you are not an author but are an assistant submitting on behalf of an author? Contact Jade Bland-Slaffey at jbland-slaffey@nasn.org for additional details on how to submit an abstract under these circumstances. When you are fully ready, you will submit an abstract through NASN's online system. The online system will open in August.